A small plane has made a successful emergency landing on a public street in California. 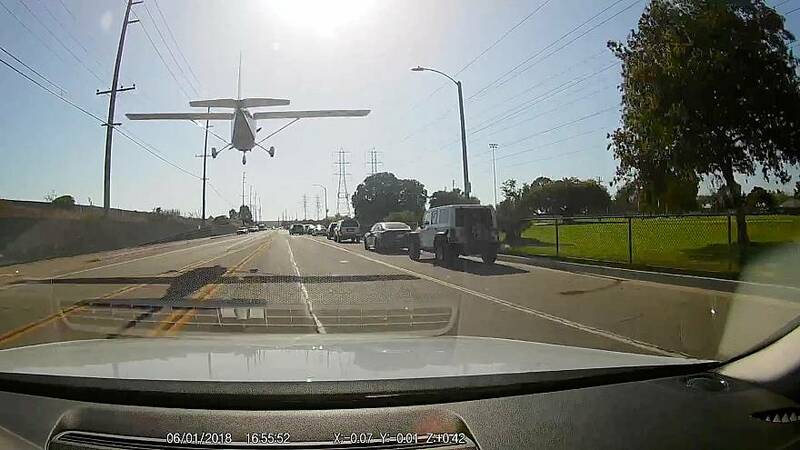 Miraculously no one was hurt when the Cessna Skyhawk lost power while approaching John Wayne Airport on Friday afternoon. Surveillance cameras filmed the plane as it came down in a residential area of Huntington Beach in Orange County. Local police say the pilot did a “fantastic job” in maneuvering the aircraft and avoiding disaster. The pilot, a student from Orange County Flight Center, is reported to have remained calm throughout and avoided hitting power lines.